If you know me, you’ll know how much I love food, and one of the topics I want to write about more on my new and improved blog (so long, Sitting Pretty!) is just that, so you can imagine how chuffed I was when Dan’s friend asked us to try out his friend’s newly acquired country pub, The March Hare, part of the Vintage Inns group. Based in Cheadle Hulme, it’s just a short drive away from the village Dan is from and is set back off the road in it’s own quiet surroundings complete with beer garden for when the sun is shining! 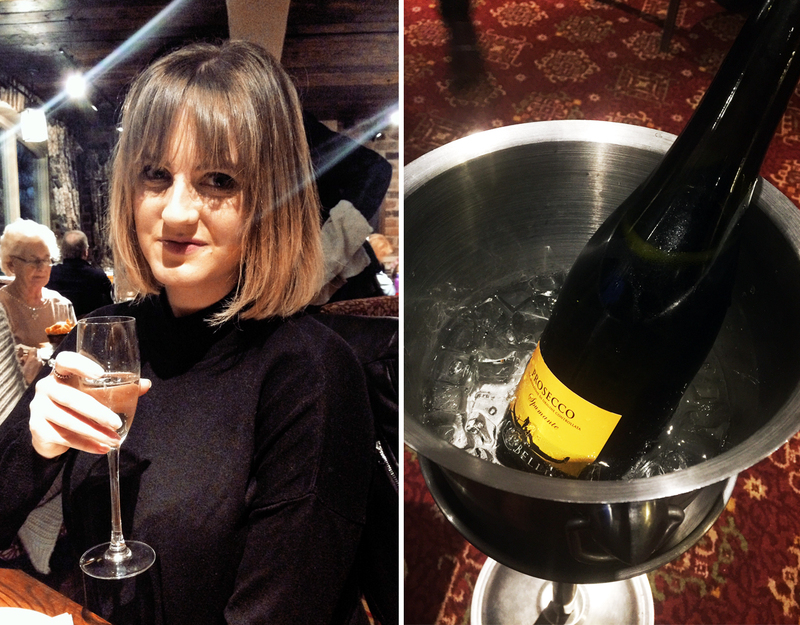 We decided to visit at the weekend for Dan’s birthday to try out the new menu and celebrate with some delicious food! After a warm welcome from the staff and a quick chat with the friendly new owner, Mike, and our lovely waitress for the evening, Carey, we settled down to check out the menu. I can honestly say, I’ve never wanted to try so many things off a menu! Pretty much every single item appealed to me, which is quite a rarity for me as I can be fairly fussy at times, Spoilt for choice, we decided to go for the Vintage Tasting Platter from the starters menu; a huge platter filled with a selection of some of their best starters including spicy fried chicken strips with gherkin relish, chargrilled lamb koftas, Althams sausages glazed with chipotle jam, crispy coated mushrooms with smoky tomato creme fraiche, beer-battered onion rings and cheesy garlic bread. 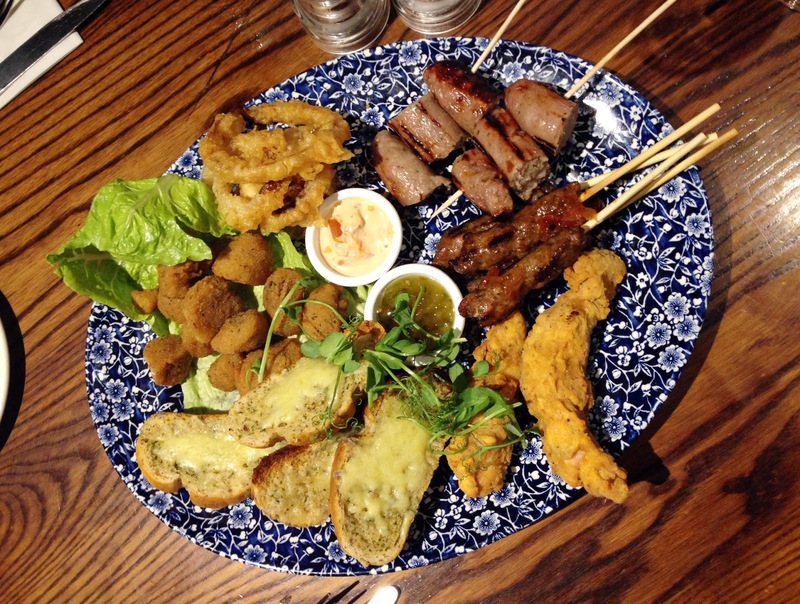 Our eyes were definitely bigger than our bellies with this one, as you get SO much food on this platter!! If you’re going to go for this I’d say it would be more suited for 3-4 people, but everything was so delicious so we ploughed through and ate as much as we good, being sure to leave room for mains and desserts! My favourite items on the platter had to be the lamb koftas with their sticky sweet chipotle jam, and the mushrooms – yum! For the main course, I opted for the dish of the day, which was a delicious lamb shank complete with mashed potato, carrots and greens, and a good helped of minted gravy. The lamb was perfectly cooked and so tender it fell off the bone and melted in the mouth, and all of the trimmings complimented it well. The gravy was amazing! 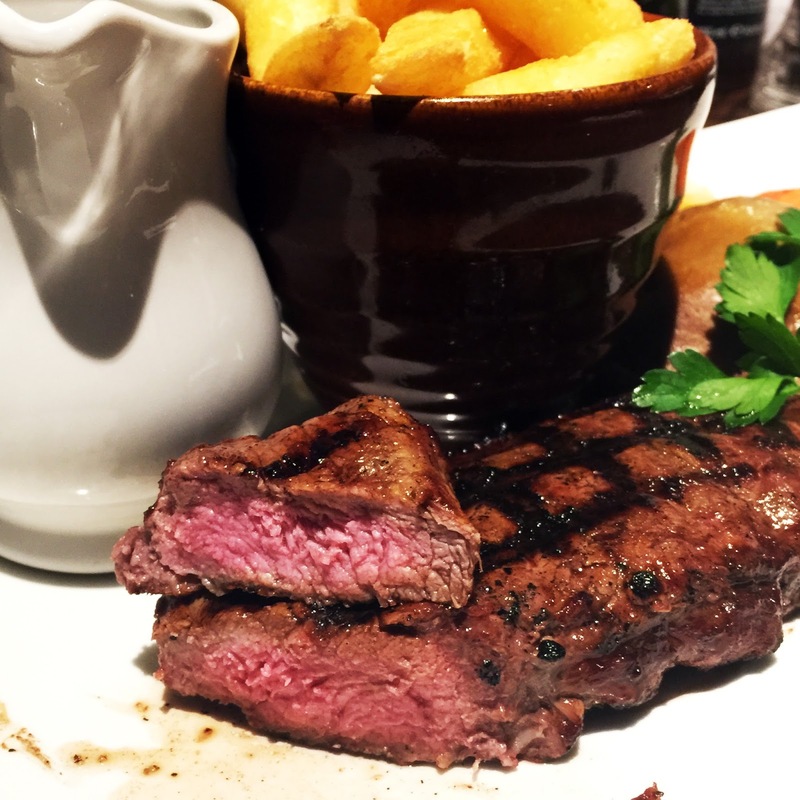 Dan chose the sirloin steak, cooked medium-rare, served with chunky chips, brandy and peppercorn sauce, and grilled tomato and portobello mushroom. Again, the meat was cooked beautifully and had an almost smoky chargrilled taste to it which was delicious. 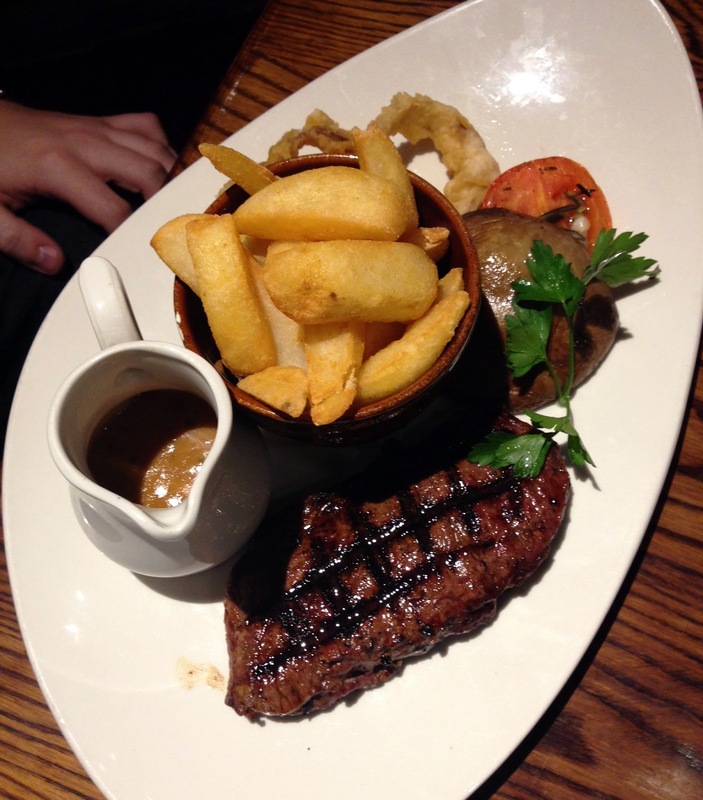 The sauce was rich and full of flavour, perfect for dipping chips in! At this point, taking in to how much food we had managed to eat, we were both feeling pretty full, but never one to be defeated, we asked to see the dessert menu. I instantly knew which I would be going for; the Cherry Bakewell Panna Cotta. Hands down one of the best desserts I’ve ever had. 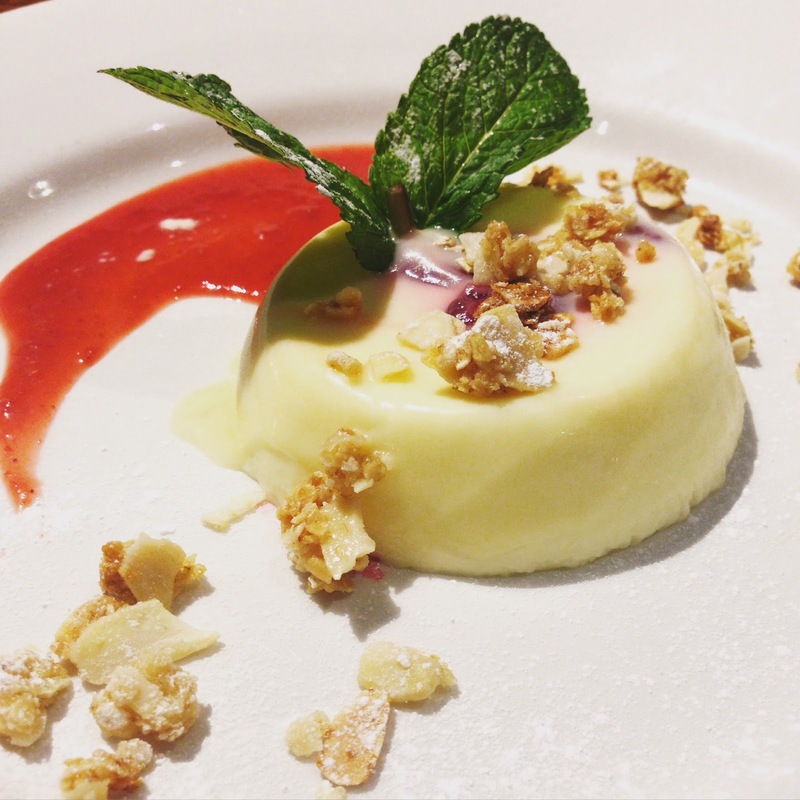 It consisted of a creamy almond panna cotta with a cherry compote centre, topped with a crunchy amaretti and almond crumb and a raspberry jam sauce on the side. It was to die for! Dan didn’t have quite as much room left as me, so he opted for a mini chocolate pot and a latte for a more manageable portion. 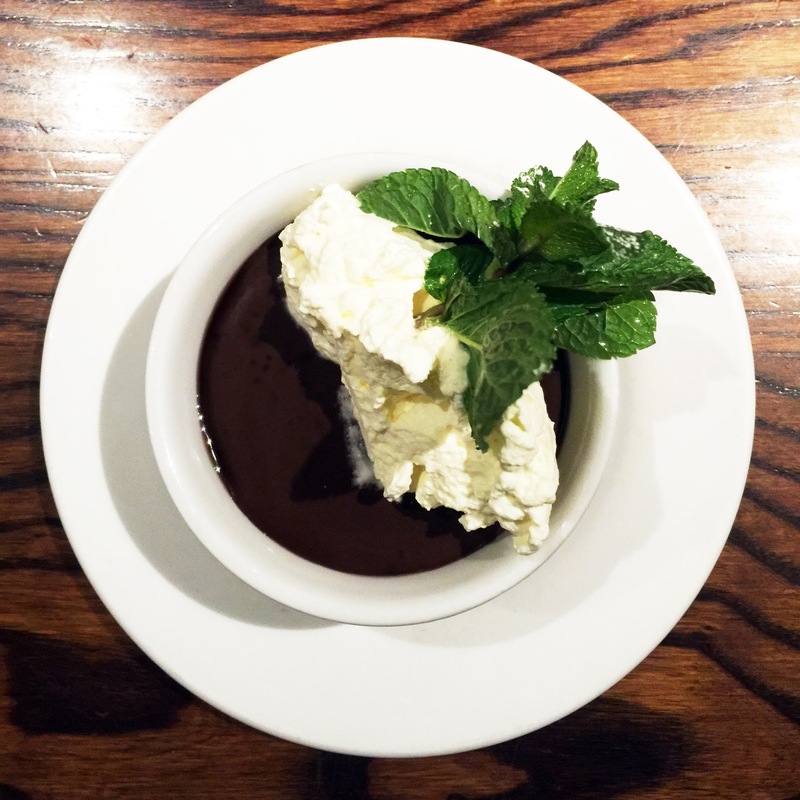 His chocolate pot looked incredible; smooth in texture and super chocolatey, topped with whipped cream for extra indulgence. 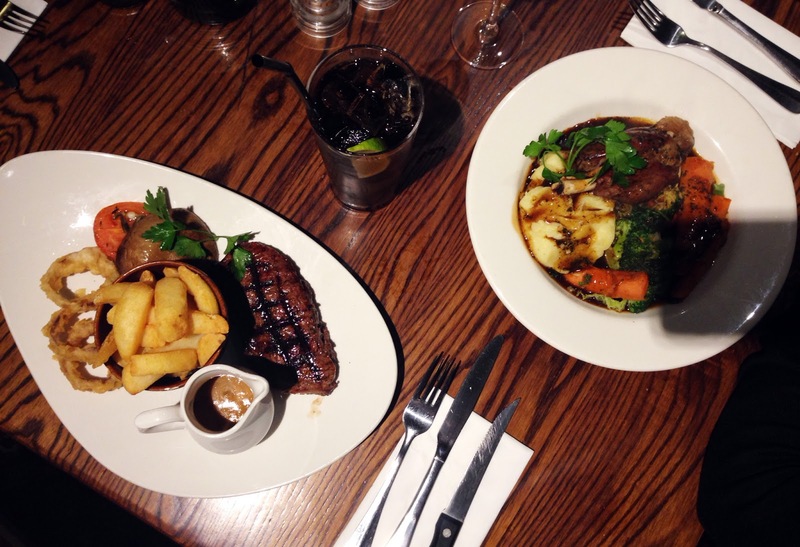 Every course of our meal was really tasty, perfectly cooked and served to us by such friendly staff. The location couldn’t have been better on a cold rainy night. We were sat by the roaring fire looking out on to the garden, and the atmosphere was perfect. We will definitely be back again soon, and would recommend checking this place out if you’re in the area and looking for somewhere relaxing, family (and dog!) friendly and with great food. 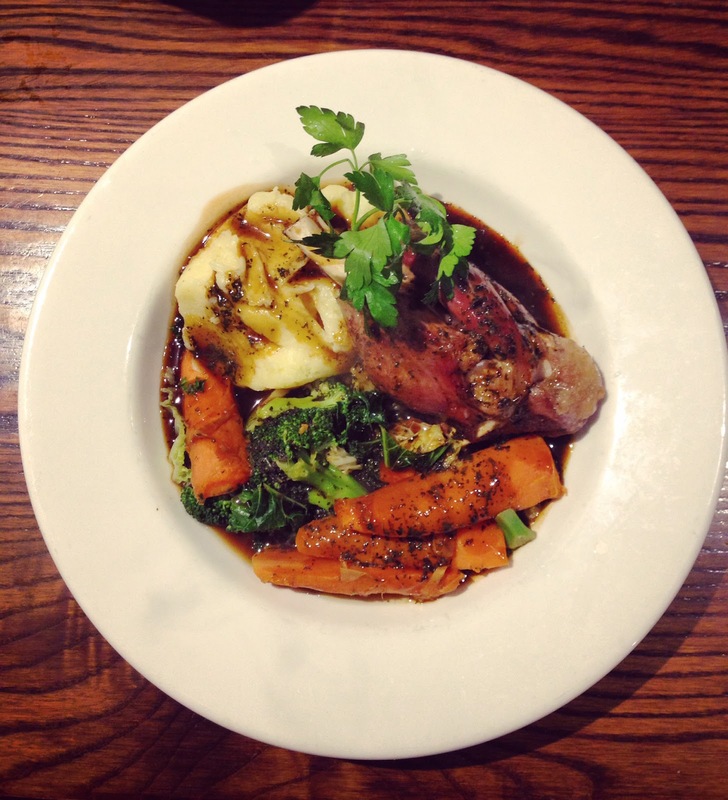 Have you visited the March Hare? What would you order off the menu?